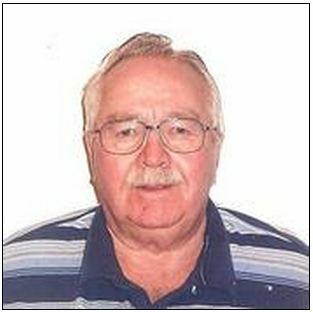 Wilbert Metzger, age 75, passed away unexpectedly on Sunday, June 2nd at Jamestown Hospital. He was born Sept. 12th, 1937, in Jamestown ND, to Herbert and Rachel Metzger. Willie graduated from Jamestown High School in 1956. That same year, he and Laura Ford married in Detroit Lakes MN. Willie and Laura lived in Jamestown for 4 years, where Willie worked road construction and had 3 sons before he and Laura moved their family to Oregon. They lived in Oregon for 2 years, and Willie was employed at a plywood mill. In 1962 they moved to Seattle, where he worked 30+ years in high-rise construction as a concrete foreman. Willie was an active member of the local labor construction union, #242. Willie loved golfing, traveling, and following the activities of his children and grandchildren. Also, one of Willie’s greatest passions was baseball. He was heavily involved with Little League, Babe Ruth, and American Legion Programs in the Seattle area, and rarely missed a Seattle Mariners or Washington Huskies games, sometimes using 2 TV’s and a radio to follow his teams. After Willie retired at age 57, he and Laura bought a motorhome, and soon a summer home in Medina, ND. They would spend many summers in ND, and the winters in Seattle. Willie is preceded in death by his parents. He is survived by his loving wife Laura Metzger; their 3 sons, Bill (Beth) Metzger of Maple Valley WA, Mark Metzger of Seattle WA, Wally (Julie) Metzger of Tukwila WA, 8 grandchildren and 3 great grandchildren; brother Denny (Kathy) Metzger of Molala OR; brother Donald (Donna) Metzger of Aurora CO; brother Darrell (Judy) Metzger of Jamestown ND; brother Roger (Jeannie) Metzger of Seattle WA; sister Darlene Whitney of Jamestown ND. Service: 10:30 a.m. Friday, June 7, 2013 at the English Lutheran Church in Medina. Visitation will be on Thursday with a prayer service at 7 p.m. in the Williams-Lisko Funeral Home, Jamestown. Burial will take place at a later date.